“Suffice to say that COPE report was written by the staff at COPE and not by me. I helped them to check on technical accuracy in the report which was a must given the complexity of the subject involved. I was one of the vocal critics of the wrong economic policies of the previous government as an independent analyst. One may just go to the archives of Colombo Telegraph and Daily FT to verify this fact.” Dr. W. A Wijewardena, former Deputy Governor of the Central Bank of Sri Lanka, told Colombo Telegraph. Former Deputy Justice Minister, Colombo District UNP MP and COPE member, Sujeewa Senasinghe, in a scathing attack, has alleged that former Central Bank Governor Ajit Nivard Cabraal and Deputy Governor W.A. 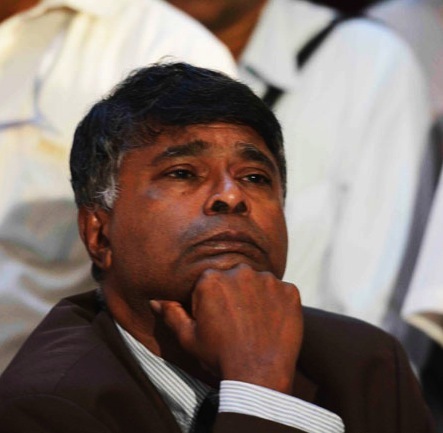 Wijewardena had drafted the contents of the COPE report on the now infamous Treasury Bond scandal. 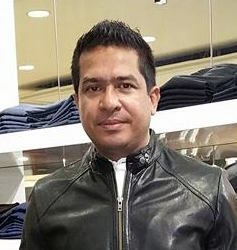 Responding to a query made by Colombo Telegraph regarding the allegation leveled against him, Dr. Wijewardena said; “The actual fact was that the new government approached me first on 9th January itself before full election results had been out when they were searching for a person to head Central Bank as its Governor and the former Deputy Minister would not have been privy to that information. I politely declined since I didn’t have intention to return to a government career since it would have compromised with my independence as an economic analyst. 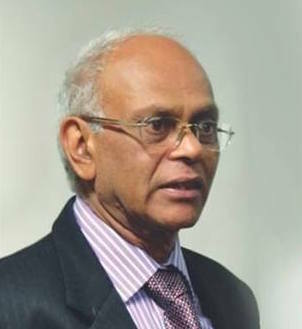 In this capacity, I provided my service to many authorities of the new government as a consultant free of charge including the Ministry of Economic Affairs in the preparation of a comprehensive economic plan which Dr Harsha de Silva too had acknowledged in a public event relating to CIMA as had been reported by Daily Mirror. “When I was requested by Secretary, Ministry of Economic Affairs on instructions from the Prime Minister to assist the Pitipana Committee I did so willingly because I thought that it was my duty by the country. When the Committee wanted to pay me, I declined and provided my expert services free of charge. “The same issue had arisen in the case of COPE sub committee too because the members had not been conversant with the the complex matters involved in bond dealings and could not proceed with the inquiry without guidance of expert advice. Enlisting such expert advice is the normal situation in Legislative inquiries including the U.S. Congress since legislators are not supposed to be technically literate on every matter. The members of COPE sub committee appreciated my clarification of many technical issues that had come to light in the course of their inquiry. The former Deputy Minister was a member of the Committee and he would have protested at that time if he felt that the advice was biased. My services are not free as an international consultant but I served COPE without asking for any remuneration. Meanwhile one of the 13-member Special Parliamentary Investigation Committee that probed the alleged insider trading and favoritism in the recent treasury bond issue, former State Minister of Education and the leader of the Liberal party of Sri Lanka, Prof. Rajiva Wijesinha said; “The UNP seems to have gone completely mad in trying to escape from its guilt over the Central Bank Bond scam. Sujeewa Senasinghe claims that the COPE report was written by former Governor Nivard Cabraal and former Deputy Governor W A Wijewardena, whereas the latter has often been critical of the former in his writings. I believe they have different views of the role of the state, with the Deputy Governor less inclined to intervention. But even he, when he appeared before us as an expert, pointed out that you could not rely wholly on auctions, because using Direct Placements was necessary to discipline the market. “Except practitioners of what used to be termed voodoo economics, we all understand that pure market mechanisms do not work. It is not the business of government to sit back and allow the weakest to go to the wall. The fact that Wijewardena appreciates this, and said as much when he appeared before COPE should not lead Sujeeva to fling mud and claim collusion. “Sujeewa himself was wiser before he was summoned to the presence and asked to act as hatchet man at COPE. He told me in May that, though he disliked Ravi Karunanayake, he did not think he was primarily responsible. He did not name names, but like the rest of us I think he suspected that it was Ranil and Malik who were behind the whole scam. “Meanwhile looking through the evidene I find that the wild allegations both Sujeewa and Arjuna Mahendran were making are totally misplaced. They claimed that Perpetual Treasuries may have benefited because Cabraal’s sister was on the Board, but I find that in the period before February 27th, they placed 15 bids for bonds, for a total of 22 billion, and were successful only once, for 27 million rupees. “But, with bids of never more than 2 billion before, they bid 15 billion on February 27th (2 on their own and 13, unprecedentedly, through the Bank of Ceylon, and obtained 5 billion worth. “Again, Arjuna made much of the fact that, in instructing as the Bank officials revealed that 10 billion be taken, the weighted average interest was a bit below what it had been in May 2014. This ignored the fall in interest rates that had occurred since, and also the fact that, at that auction, all bids that were accepted were at the lowest interest rate offered. In this case the lowest interest rate (Net of Tex) was 9.35 while for Perpetual Treasuries it was 12.50. Thus they got 100 rupee bonds at Rs 90 whereas the lowest bidder bought them at Rs 119 (also brokered by Bank of Ceylon). Whatever excuses are given or whatever statements are quoted by you in support of your unprofessional actions regarding this Cope Mud you have created a huge dent in your career. You have rendered yourself yet another Wimal Weerawansa type [Edited out]. The mandate you received was to provide professional service to the Cope subcommittee. Once you have done your part it is the end of the contract, they don’t expect you to be the judge or the prosecutor. That part of the issue would be determined by those who mandated you to perform your part of the job. No mandate was there for you to engage in political mud-slinging aligning yourself with buffalos like Dew Gunasekaras. You have ruined your career I am afraid. I don’t think they would ever again seek your service. You have indulged in sort of “Cope insider trading” by exceeding and violating your mandate. The JVP would be very happy to give nominations to you because you fit yourself very well with their type of political mud culture! You are living in stone age when compared with RW! By what stretch of imagination did you come to implicate RW with this Bond issue? Surely your so called professionalism has a long way to go to comprehend that of RW and align with the empirical usage. Alas, do you see the depths you have descended? Thus far all the Rajapaksha rogues and JVP empty ranters were at a loss to find any muck to sling at RW. This time however they created it out of thin air, the Cope Mud! Thus far the Rajapakshas were responsible for waylaying the national wealth of the country by innumerable plundering in myriads ways but the Yahapalana pigs have now jettisoned all that and running after RW in frenzy of an imaginary robbery! Where are the “professionals” taking this country? Right from the day we obtained independence we have seen this opportunistic political fever while the country plunged to more and more turmoil and poverty. And the rest of the world has sped away overtaking us in every aspect of life. Even the Pakistan who are notorious in ways terrorist produced and gave to the world a Malala while you professionals, racists, religious fanatics, nationalists and ideologists are producing Gnanasarays, Mahindays, Basilas and doing everything to make sure that true potential people like RW are perpetually kept behind the veils of darkness, myth, falsehoods and rumors. But this time it is water shed moment for you all. Be prepared! With each day that passes and into this election period, the mud plot planted by WAW et at is revealed with more and more telltale signs and details. And now My3 Sira is also behind this! Evidence? His traitorous public talk where he claims he told RW to fire CB Governor! What convoluted logic is this? What does My3 bugger knows about Bond matters? Did he appoint an investigation team and if so what were the findings? If not how does he utter what he utters? Has CB Governor been subjected to an investigation and prosecution routine and then found guilty? If not how does this joker My3 tell RW to fire AM? Is the President demented and unfit to hold office because he bungles the basic things? All these people including My3, MR, Dew G, the Rajapaksha vassals and bankrupt media boutiques are part and parcel and active conspirators of this fabricated Bond Issue. The sole reason for creating this fabricated story is to gain cheap political publicity against RW because RW so far did not have any corruption charges.